All images are supplied in the popular JPEG file format and are available in both lower and higher resolutions. Explore millions of royalty-free stock photos and vectors at great prices. Download the photo instantly after purchase. 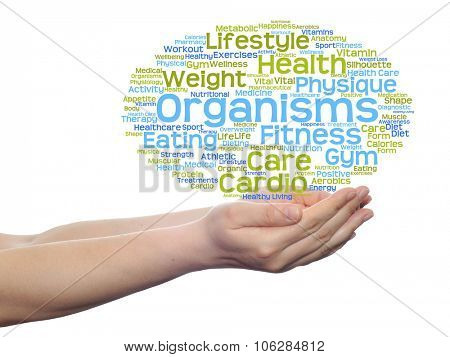 You can use this stock photo for your creative project related to 'Concept or conceptual abstract health, nutrition or diet word cloud in human man hand isolated on wh'. Utilize the power of DigitalOfficePro Stock Photos - a fabulous collection of impact creating images. Check out our speedily growing line of professional Stock Images with over 20 million images! Pick up visually­stunning images for your website or captivating photos for presentation, when you need them, for very low prices. All our images are in the most needed JPEG file format and are available in both numerous higher resolutions suitable for print applications and lower resolutions for websites and presentations.